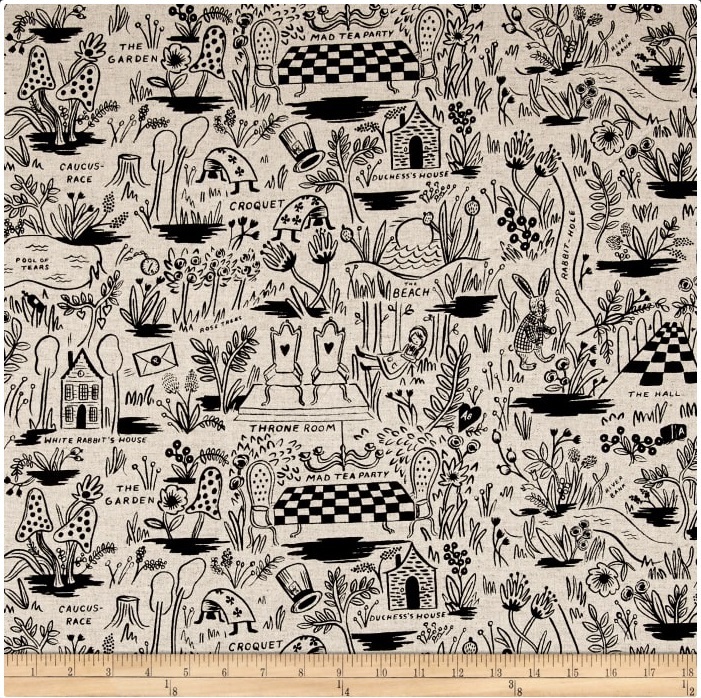 Designed by the famous Rifle Paper Co. for Cotton + Steel, travel down the rabbit hole with this Alice in Wonderland inspired collection, featuring whimsical prints with beautiful coordinating colorways. This medium weight (6 oz./square yard) cotton blend canvas fabric is truly versatile. It is perfect for tote bags, toss pillows, window treatments, and apparel like skirts and jackets. Colors include black and cream.